Voters at a special town meeting Wednesday will decide whether to approve creating an agriculture commission. The proposed commission will not have regulatory powers, First Selectman Russell Gray said, but will be an advisory agency on issues that could affect the town's agricultural businesses. The commission will have five regular members and three alternates. Gray said he already has volunteers to fill all eight positions. Gray said the commission would be a resource for selectmen and land-use agencies, such as Planning and Zoning or Inland Wetlands and Watercourses. It also would promote Sterling's remaining agricultural businesses. 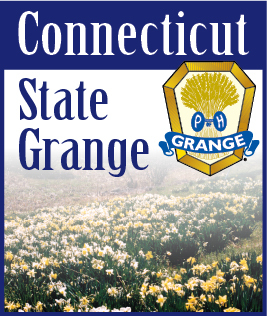 Once a thriving agricultural community, Sterling today has only four active dairy farms and one turkey farm, said Gray, a retired dairy farmer and Past Master of the Connecticut State Grange. At least three former dairy farms use their land to grow food crops. There also are two market gardens that would fall under the agricultural commission's umbrella, he said. Sterling is among a growing number of northeastern Connecticut towns to create agricultural commissions. Gray said the idea originated in Thompson. Rick Hermonot, owner of the Ekonk Hill Turkey Farm on Route 49, and a member of Ekonk Community Grange, supports the proposal. "Sterling has transitioned from a town that was primarily agricultural to one that is now considered rural residential," he said. "For the last several years we have been the fastest-growing town in Connecticut, and most of the people moving into Sterling are disconnected from agriculture. "I feel the commission can serve as a voice for the agricultural businesses, a place where people can bring ideas that would promote our agricultural resources." He said it also could be a sounding board to help resolve disagreements or issues between farmers and their new, nonagricultural neighbors. Gray said if voters approve creating the commission, selectmen likely would appoint commission members at their meeting later Wednesday night.